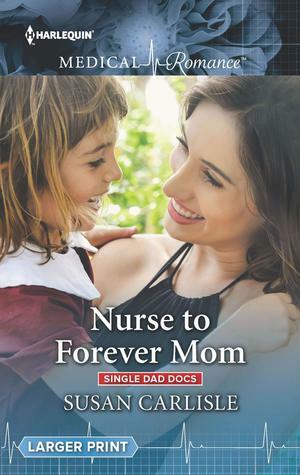 In Nurse to Forever Mom (Single Dad Docs #4) by Susan Carlisle, as a travelling nurse Stacey Ryder is only on Maple Island temporarily. For six weeks, she’ll work alongside Dr. Cody Brennan and then move on since she already has her next assignment lined up. 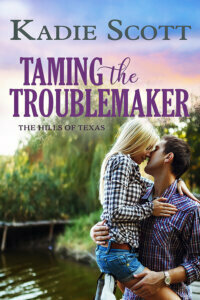 Yet, the more time she spends with Cody and his daughters, the harder she finds it to leave. Will Cody be able to convince Stacey to stay? You once told me not to put you on a pedestal, I’m going to say the same.” She too was afraid she would fall. “Then we’ll agree to be less than perfect.” He took another bite of his sandwich. This story ends this series brilliantly. Really, it’s a story packed full with emotion in the way it made me smile or laugh because of the heroine’s playfulness and made me want to cry because of the way this couple’s relationship goes awry. 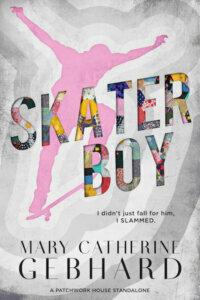 Why can’t the heroine accept that not everyone will leave her like they’ve done in the past? As for the way this story started, it had me liking the hero and heroine immediately, as the hero is a good dad that will do anything for his daughters. However, he’s lucky the heroine comes to his rescue. However, it was from the moment the hero and heroine realize they’ll be working together where this story really takes off, as the heroine tries to break the ice by teasing the hero. Will he take the teasing well? Will she be able to break through the hero’s walls? Will the hero be able to break through the heroine’s walls? Since both have been hurt by previous relationships and don’t find it easy to trust. As for the dialogue, it was entertaining due to the main characters back stories and I loved the growing bond between the heroine and the hero’s daughters. She’s good with the two girls, even though she’s never had much experience with kids besides in her line of work and certainly never had a good role model as a mother. Moreover, I really enjoyed the heroine. She’s resilient, courageous kind, caring and a good nurse. I also liked how determined she was to keep her distance from the hero because she can’t afford to get close when she’s leaving. However, I liked how much of a losing battle she faces when it comes to her attraction to the hero. While the hero, he’s a great doctor, a good father, driven, smart and I liked how determined he was to win the heroine over because he’s finally ready to give another woman a chance. Which is huge, considering the damage his ex-wife did that left him no choice but to leave and take his daughters away from her. Overall, Ms. Carlisle has delivered a really good read in this book where the chemistry between this couple was tangible from the moment they meet; the romance was wonderful and had me loving this couple together; and the ending had me enjoying how far both are willing to go fight for their relationship. However, in saying that, I liked what the heroine does to prove she wants to be a part of the hero’s life. Moreover, the epilogue wrapped this story up nicely because no one deserves happiness more than this couple after everything they’ve been through in their pasts. I would recommend Nurse to Forever Mom by Susan Carlisle, if you enjoy medical romances, workplace romances or books by authors Karin Baine, Annie Claydon, Annie O’Neil and Scarlet Wilson.